Internet Marketing Training Program teaches business owners and managers how to profitably implement Internet Marketing strategies. 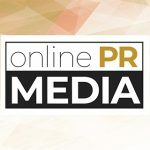 Online PR News – 04-November-2010 – – (Phoenix, AZ) Many business owners attempt to tackle the challenge of handling their own Internet Marketing without the help of a professional. Some succeed, but many do not and for a variety of reasons. For one, the (Internet Marketing) rules have changed continuously since it's inception and business owners simply don't have the time to keep up to speed while still focusing on their businesses core offerings. It can become a full time job to plan, execute, and monitor a comprehensive Internet Marketing which includes elements of old fashioned web coding, link building, paid search, mobile search, and social media. Phoenix based AKA Internet Marketing, a full service online marketing consulting firm, has developed an Internet Marketing training course which is ideal for small business owners who want to learn how to affordably and simply improve their online market share without traveling to a costly conference or spending a day at a time away from their business. The 3 month course includes trainings via email, semi-monthly webinars, one-on-one coaching, a personal web marketing assessment, and a "Q&A" forum where participants can get their most pressing Internet Marketing questions answered. The course will launch the first week of December with the goal of helping business owners take advantage of a time when many non-retail businesses seem to slow down. According to Anthony Kirlew, Founder of AKA Internet Marketing "People don’t stop searching online because the holidays are approaching, but business owners need to know how to connect with them." Kirlew went on to emphasize that the companies that pay attention to (and invest in) their online marketing strategy in December will see bigger returns in 2011 than those who don't. Course topics will include Search Engine Optimization, Local Search, Pay per Click Search, Link Building Strategies, Blogging, Social Media, Text Message Marketing, Email Marketing, Video Marketing, Affiliate Marketing, Mobile Search, and more. It is billed as a "tell all" course where participants are made privy to tactics generally held close to the vest by Internet Marketing Professionals. Enrollees even get homework assignments, unlike many online courses where you simply purchase them and are left to yourself to figure it all out. Although the program was designed with the small business owner in mind, it is open to marketers and professionals from companies of all sizes. About AKA Internet Marketing: AKA Internet Marketing is a full service online marketing consulting firm, offering search engine marketing, social media, and online reputation management services to small, mid-sized, and enterprise organizations. The company was founded by Anthony Kirlew, a 10+ year veteran of the Internet Marketing Industry.